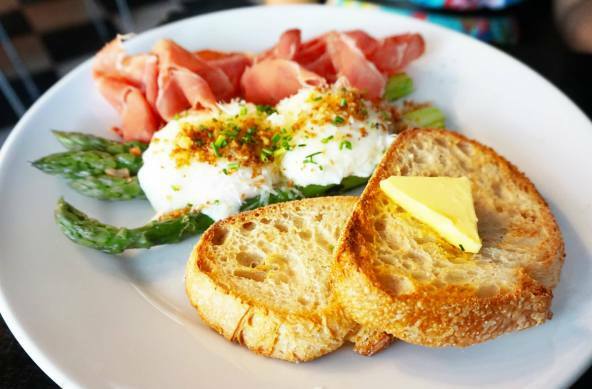 Asparagus & Parmesan Eggs – poached egg, asparagus, prosciutto, truffle oil, toast. There’s a reason why I picked this in particular, mainly because of the word ‘truffle’. Its been a while since my last poached eggs and I’m glad I tried this! There was a sprinkle of crunchy onions (I believe they were onions), really tasty prosciutto and the beautifully yellow and smooth yolk. Mr C’s choice were the black stone eggs. I imagined the eggs to be cooked black or served as a hard boiled egg but that wasn’t the case, it was actually referring to the unique hash brown with fillings. I loved the hash brown, it was deep fried until they were a beautiful golden brown and very crunchy. Their gourmet tomatoes were deliciously sweet and juicy. We ordered a skim latte with no sugar to help fix my lack of sleep the night before. I thoroughly enjoyed this as it has that nice bitter taste to it as latte should have. I’ll definitely visit again just for the coffee if not for the food as I really liked the taste. 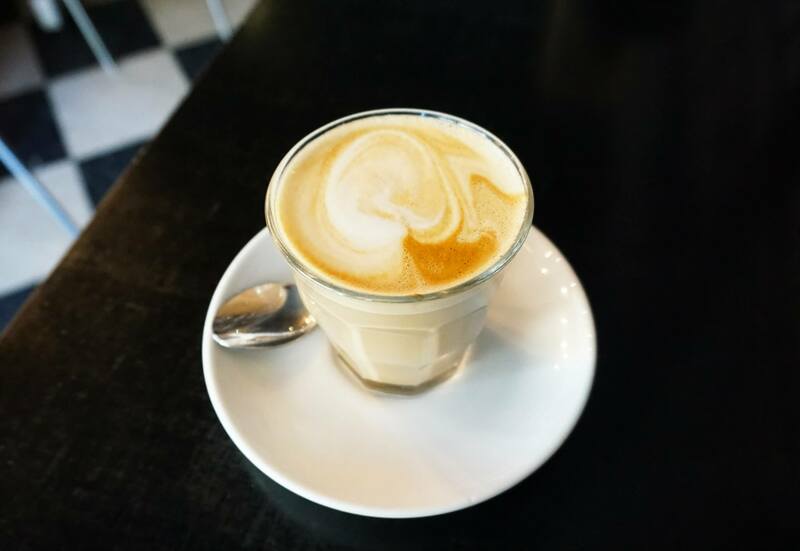 Since the cafe is just steps away from Bondi Beach it’s always extremely popular with people lining up to get inside, they also have an extensive dinner menu for those who want to visit later in the evening. 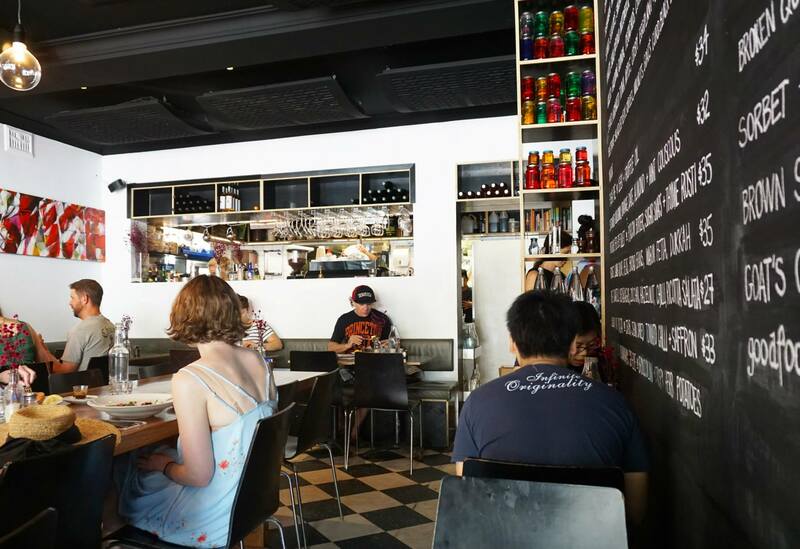 Most of the menu dishes are under $20 per dish, which is pretty standard for a cafe in Sydney. i love this place. we had the green eggs last time- so good. 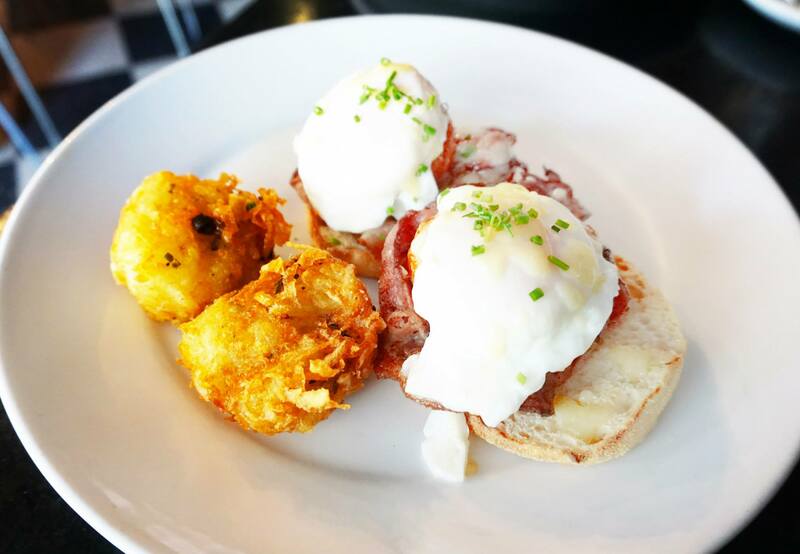 I think Blackstone eggs is a variation on eggs benedict – where the ham is replaced with bacon and tomato? Looks tasty though. The hash browns look super crunchy! I think it’s actually bacon replaced by ham and a tomato, either way it was good! The asparagus looks lovely in your dish – it’s the perfect time of year for it!